Being a provider of brokerage services around the world, InstaForex offers its clients the latest developments of Internet trading, ensuring the most comfortable trading conditions for the customers. Having proved itself an innovator in trading on the forex market, the company gives you the opportunity to raise your trading account balance due to the unique bonus program, which includes a number of nice choices. Below are all bonuses offered by InstaForex, from which you will certainly choose the one that suits you. The bonus program will not only increase the profitability of your trading, but also will guarantee big wins and exciting deals. The 100% LFC Partnership Bonus! Owing to the partnership between InstaForex and legendary Liverpool football club, all football fans can enjoy the 100% bonus on their first deposit! Becoming a member of the elite club of InstaForex, you get a number of exclusive options and the chance to receive special bonuses for every deposit. Become an InstaForex club card holder and get a bonus after card activation. Every InstaForex client who opened a trading account after June 15, 2013 can get the highest bonus of 250% of deposit. 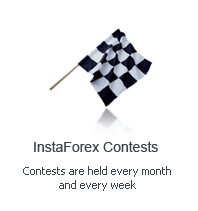 Increase your account balance with a fixed bonus from InstaForex. Every new client of InstaForex has a unique opportunity to hike a trading account balance by 30% of the initial deposit. Register a live account, fill in the application form and a welcome bonus of 30% will be in your pocket. Do you want to receive 55% to every deposit you make? It is easy! Traders having registered an account with InstaForex since June 15, 2013, have the opportunity to receive a bonus of 55% every time they replenish their trading accounts. No Deposit Bonus is a great chance to get real money on a trading account with no initial investment. Thanks to this special offer from InstaForex, every new client can get a start-up capital as a gift and begin trading on Forex without losing their own funds. Study the information carefully before you make a request for a bonus.